With exceptional performance and impressive handling, the 2019 Porsche 718 Cayman is just what you’re looking for. The 718 Cayman is equipped with a 2.0L 4-cylinder turbocharged boxer engine that pumps out 300 horsepower, while the 718 Cayman S amps up the adrenaline with a 350-horsepower 2.5L 4-cylinder turbocharged boxer engine. Smoothly move through the gears with the available 6-speed manual transmission as you cruise the open road. 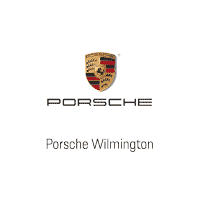 Schedule your test drive of the 2019 Porsche 718 Cayman at Porsche of Wilmington. Why the 2019 718 Cayman? Leather, iPod/MP3 Input, Aluminum Wheels, Turbo Charged Engine, Satellite Radio, Back-Up Camera.